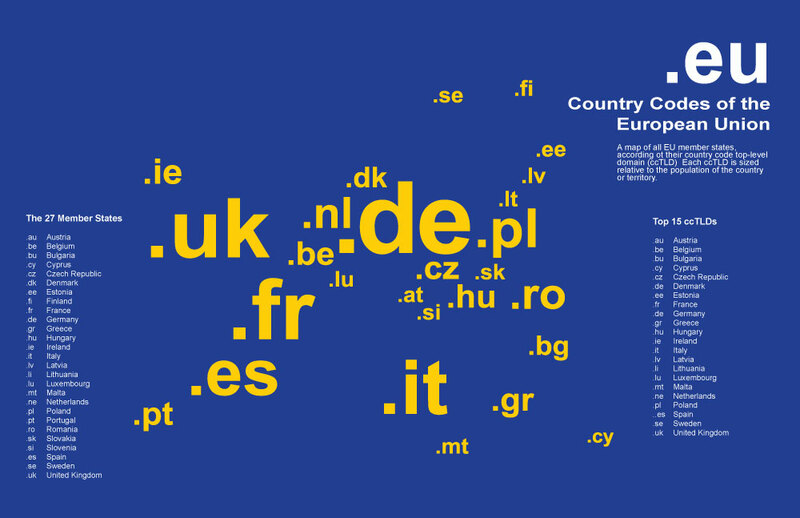 There are 27 countries in the European Union, which means 27 country code top-level domains (ccTLDs). This map includes them all, sizing them relative to the population of the country. A list of the most popular ccTLDs by total number of registrations is also included. The map measures 18 inches wide by 24 inches tall and is printed on high-quality cover stock with a half-inch white border. Discounts for bulk orders are available. Please contact us. Each poster is printed on demand.